As our federal government continues to flail and waste time disputing who caused the housing market collapse, I just sit here wondering what we're going to do when Fannie Mae And Freddie Mac finally crash. Did you happen to catch the Super Bowl this past Sunday? Even if you didn't, have you participated in our one-question survey about the impact of Super Bowl advertising? 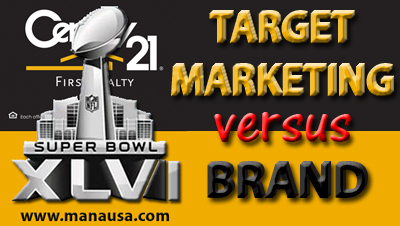 Please give us your quick answer by visiting our Super Bowl Advertising Survey (by clicking the link). A long time buddy of mine send me a link to an article that really summarizes this concern for me. Christopher Whalen wrote a commentary on HousingWire titled On GSE reform: Be Careful What You Wish For that should make all tax-paying US citizens scratch their collective heads. I want to share a few quotes from Mr. Whalen about Fannie Mae And Freddie Mac. Who Really Controls Fannie Mae And Freddie Mac? ... the close operational integration of the top four banks and the GSEs, including Fannie Mae And Freddie Mac and the Federal Home Loan Banks, which are the largest GSEs of all. You cannot separate the GSEs from JPMorgan Chase, Citigroup, Wells Fargo and Bank of America — the four horsemen of the financial apocalypse that exercise illegal cartel control over the secondary market for residential mortgages. The big four zombie banks run the GSEs in the same way that they exercise control over special purposes entities and the private mortgage insurers. What is going to happen when the proverbial s#*t hits the fan? If hundreds of billions of loans go bad, will our banking system survive? Or will the next administration (we know Obama is going to continue to ignore this through elections) decide to bail out the banks by printing another trillion dollars? I know there are "way smarter" people out there who pay attention to this, I'll be looking for their thoughts and ideas. I can promise you this, the lack of leadership in Washington today might be causing a problem that could collapse our economy. It has happened elsewhere. Are we just a "Super-sized" Greece? If we do not put some bright, non-politically charged minds, on the task of reforming and dissolving Fannie Mae And Freddie Mac, then what we know of the housing market collapse will pale in comparison to what is ahead.